Shaped by Hawai‘i’s place, people and legacy, KS Hawai‘i carries the educational vision of founder Bernice Pauahi Bishop with a unique overlay of cultural grounding, adaptive thinking and building visionary leaders for the next generation, leaders who have an ‘Ōiwi Edge – conscience, adaptive, leading. With state of the art equipment in the arts, sciences and IT, KSH prepares students with 21st century learning skills for the global world of today, alongside the educational innovative thinking and design for tomorrow. K-12 STEAM learning areas, a 1:1 laptop program and a focus on personalized learning balances the national and international accolades received by students via the performing arts platform, academic clubs and athletic competition at the local, state and national level. 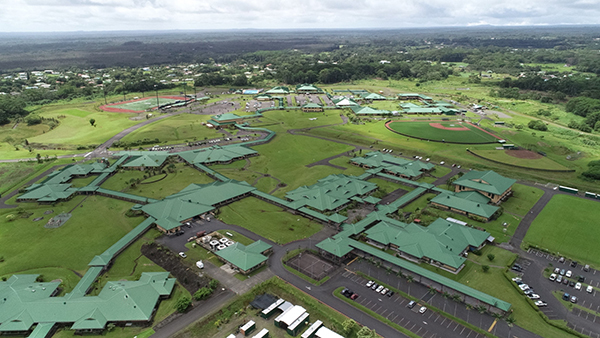 ʻŌiwi Edge is our campus identity unique to Kamehameha Schools Hawaiʻi. Imbued with the mana of this special place, of Ke Aliʻi Pauahi’s lineage to this ʻāina, of the many generations of heroes and innovators who shaped our Hawaiʻi Island communities, and of our own kupuna. ʻŌiwi Edge empowers us with a strong ancestral foundation, worldview and mindsets to actively shape a rapidly changing world with vision, courage, and aloha. ʻŌiwi Edge embodies our shared kuleana to grow ʻōiwi Hawaiʻi learners and leaders who pursue excellence, engage generationally and globally, and ignite their unique passions and talents to serve and uplift their ‘ohana, lāhui and world. Kula Haʻahaʻa ʻohana are invited to join us for a discussion on why social-emotional learning matters and how to set their keiki up for success. 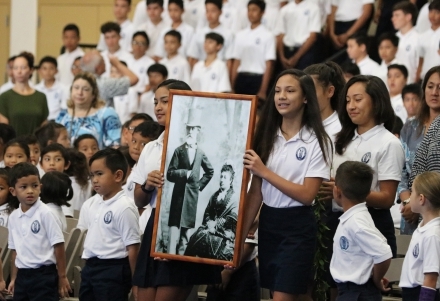 On Friday, January 25, the KS ‘ohana celebrated the birth of Charles Reed Bishop – Husband of Ke Ali’I Pauahi, and a driving force in the creation of Kamehameha Schools. Hours: 8:30 a.m.- 4 p.m.
All campus students are eligible to apply for need-based financial aid. Once your ancestry is verified, you will be considered for preference when you apply. 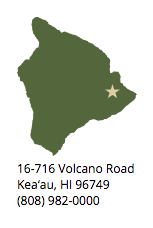 Please visit or contact our Hilo and Kona offices.